Hello is a very magical word. Everyone says hello. 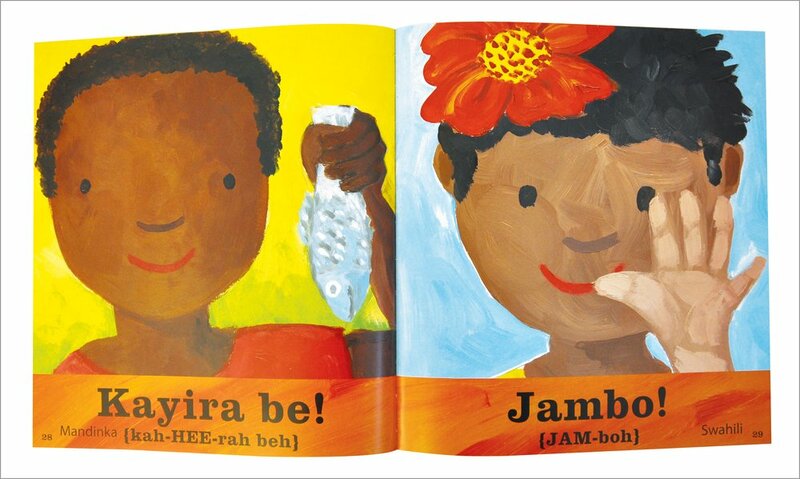 Now children can learn to say it in a host of different languages, passing on the magic wherever they go! 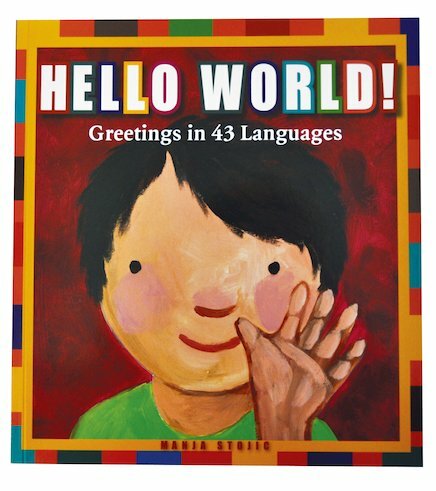 This gorgeously original book of greetings teaches children how to say hello in 42 different languages, from French to Swahili, Urdu to Welsh. 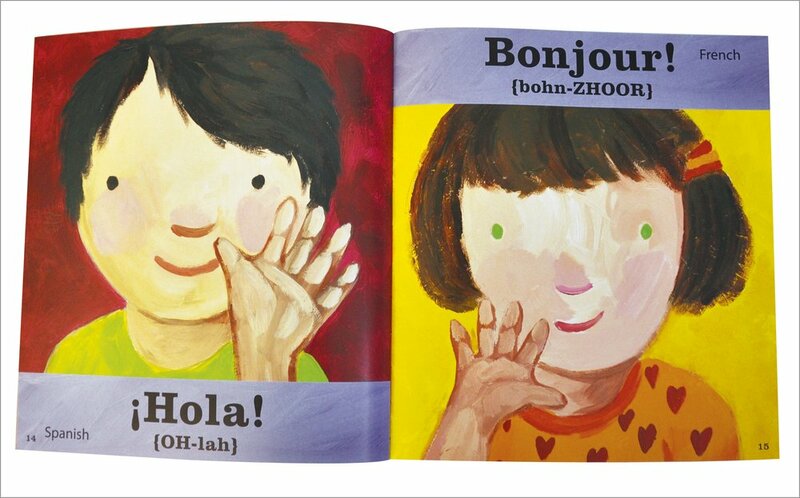 Each page introduces a greeting in a different language, along with a simple phonetic spelling. 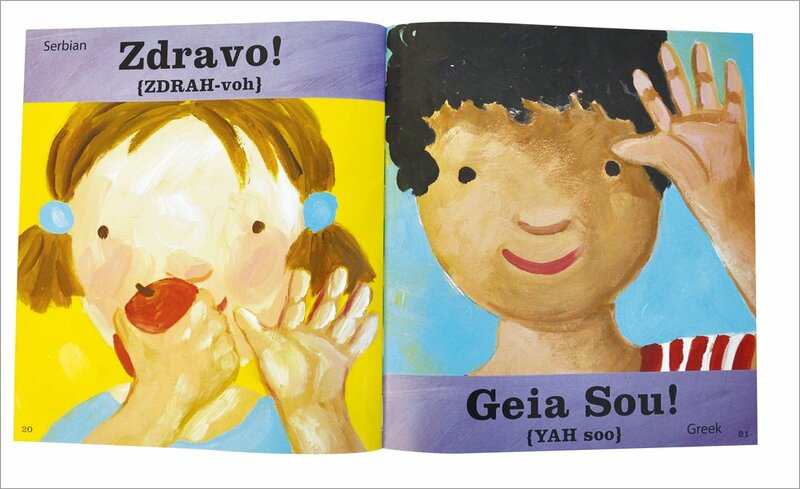 With warm, friendly artwork featuring children from different cultures on every page, Manja Stojic’s book is a true delight. As well as teaching interpersonal skills and celebrating diversity, it’s a fantastic way to promote language learning and speaking and listening skills.